Episode 2: The Story of "Pure Michigan"
Cue the cozy piano and string music, and get Tim Allen on the horn. 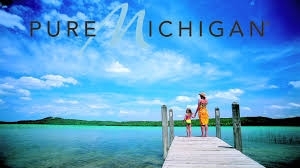 The “Pure Michigan” campaign is more than a decade old. How did it start? How is it doing? Where is it headed? Today, on the Cold Oatmeal podcast, we talk with Lindsay VanHulle of Crain’s Detroit Business and Bridge Magazine about her reporting on the coming of age of Michigan’s popular tourism campaign. Then, we say so long and good luck to a great colleague. Also, a very special thank you to our podcast musical partners, Westrin and Mowry and Nick Piazza. Brian, Pete and Nick are great talents and their willingness to share their work really helped to bring this project to life. Check them out. Buy their music.